1. 张仁和. 负梯度浅海中的简正波声场. 声学学报, 1965, 2(1): 24-28. 2. 张仁和. 分层介质中的正交波函数. 声学学报, 1965, 2(2): 102-103. 3. 张仁和. 浅海表面声道中的简正波声场. 物理学报, 1975, 24(3): 200-209. 4. Ren-he ZHANG. Turning-point convergence-zones in underwater sound channel（I）: a normal-mode theory. Chinese Physics, 1981, 1(4): 1064-1078. 5. Ren-he ZHANG. Turning-point convergence-zones in underwater sound channel（II）: a generalized ray theory. Chin. Jour. Acoust., 1981, 1(1): 23-34. 6. 张仁和, 张双荣, 肖金泉等. 浅海远程声场的空间相关性与时间稳定性. 声学学报, 1981, 6(1): 9-19. 7. 张仁和, 孙庚辰, 雷良颖等. 负梯度深海中的反转点会聚区. 声学学报, 1981, 6(3): 198-200. 8. Ren-he ZHANG, Min GONG, Shuang-rong ZHANG, et al. Multipath structures of signal waveforms in shallow water with thermocline. Acta Oceanologica Sinica, 1982, 1(2): 163-174. 9. Ren-he ZHANG, Bai-xian ZHU. Normal mode sound field of a directional radiator. Journal of Sound and Vibration, 1987, 119(2): 207-213. 10. Ren-he ZHANG, Guo-liang JIN. Normal mode theory of average reverberation intensity in shallow water. Journal of Sound and Vibration, 1987, 119(2): 215-223. 11. Ren-he ZHANG, Zheng-feng LU. Attenuation and group velocity of normal mode in shallow water. Journal of Sound and Vibration, 1989, 128(1): 121-130. 12. Ren-he ZHANG, Qin WANG. Range and depth averaged fields in ocean sound channels. J. Acoust. Soc. Amer., 1990, 87(2): 633-638. 13. 何 怡, 张仁和. 海洋声场的广义相积分简正波方法. 自然科学进展, 1992, 2(2): 161-165. 14. 张仁和, 何 怡. 大洋远程声传播理论及其应用. 自然科学进展, 1994, 4(6): 670-676. 15. Ren-he ZHANG, Yi HE. Long range pulse propagation in ocean channels. Journal of Sound and Vibration, 1995, 179(2): 313-325. 16. 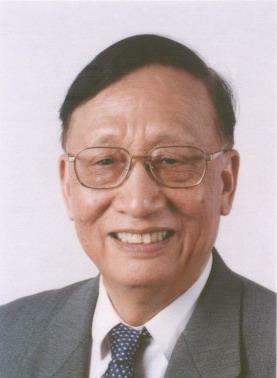 Ren-he ZHANG, Yi HE, Hong LIU, et al. Application of WKBZ adiabatic mode approach to sound propagation in the Philippine Sea. Journal of Sound and Vibration, 1995, 184(3): 439-451. 17. Ren-he ZHANG, Wen-hua LI, Xin-fang QIU, et al. Reverberation loss in shallow water. Journal of Sound and Vibration, 1995, 186(2): 279-290. 18. 张仁和, 王富堂. 海洋环境噪声与舰船噪声的频间相关与群延迟特性. 声学学报, 1995, 20(3): 235-238. 19. Ren-he ZHANG, Feng-hua LI, Wen-yu LUO. Effects of source position and frequency on geo-acoustic inversion. Jour. Comp. Acoust., 1998, 6(1): 245-255. 20. Ren-he ZHANG, Feng-hua LI. Beam-displacement ray-mode theory of sound propagation in shallow water. Science in China, Series A: Mathematics, 1999, 42(7): 739-749. 21. Zheng-lin LI, Ren-he ZHANG, Zhao-hui Peng, et al. Anomalous sound propagation due to the horizontal variation of seabed acoustic properties. Science in China, Series G: Physics Mechanics & Astronomy, 2004, 47(5): 571-580. 22. Ren-he ZHANG, Zheng-lin LI, Jin YAN, et al. Broad-band matched-field source localization in the East China Sea, IEEE Journal of Oceanic Engineering, 2004, 29(4): 1049-1054. 23. 张仁和, 黄晓砥, 宫在晓. 运动声源与接收器的脉冲简正波传播, 声学学报, 2004, 29(4): 308-312. 24. Ren-he ZHANG, Xiao-xing SU, Feng-hua LI. Improvement of low-frequency acoustic spatial correlation by frequency-shift compensation, Chinese Physics Letters, 2006, 23(7): 1838-1841.